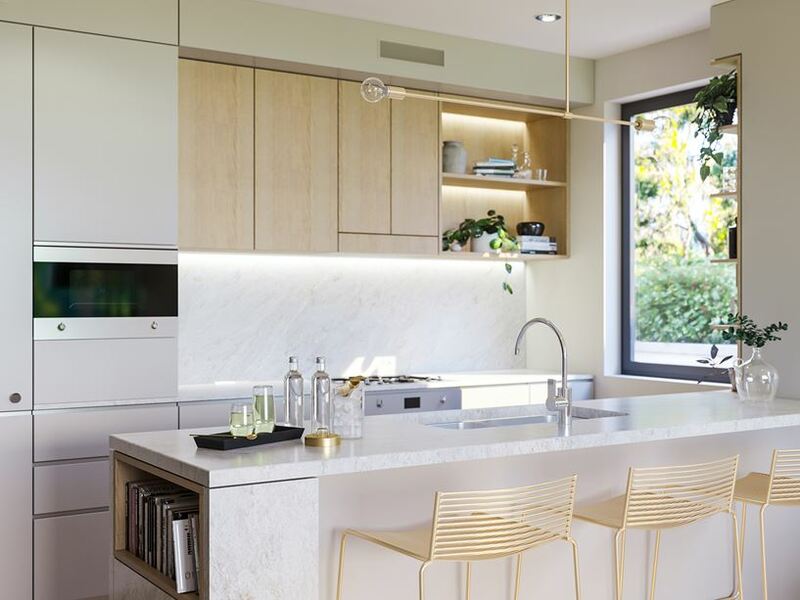 Arcadia Apartments Indooroopilly is a nearly-complete development of two and three-bedroom apartments. Made for young professionals, small families and downsizers, Arcadia is designed so that air flow and interaction is easy in the open-plan design. Timber flooring and larger balconies also add an extra touch to the space. With construction due to be complete in April 2019, Arcadia is ideal for those who want to move as soon as possible. 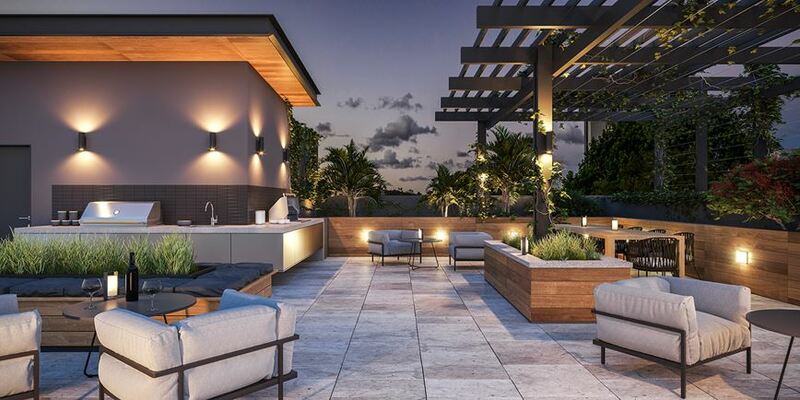 Residents at Arcadia will have access to a number of amenities on the rooftop terrace, including entertaining spaces, a BBQ area, outdoor kitchen, and various seating nooks. Arcadia also marks Chinese developer Peng Bo Group’s first entry into the Brisbane market. 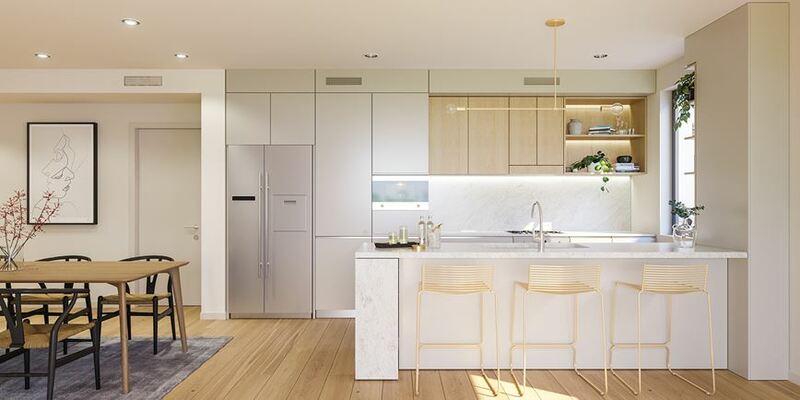 Maple Development Group — the Australian arm of the developer — is in charge of the 29-apartment project, with each unit having its own architect and interior design team. 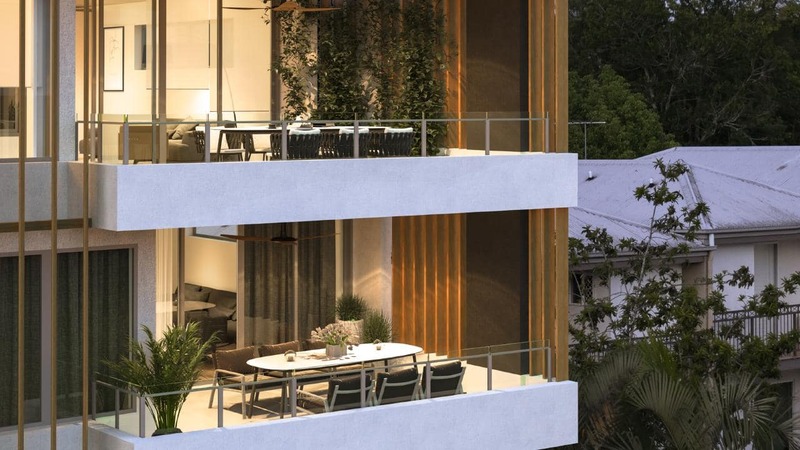 The display suite for Arcadia is located at 1/57 Coronation Drive, Brisbane City. 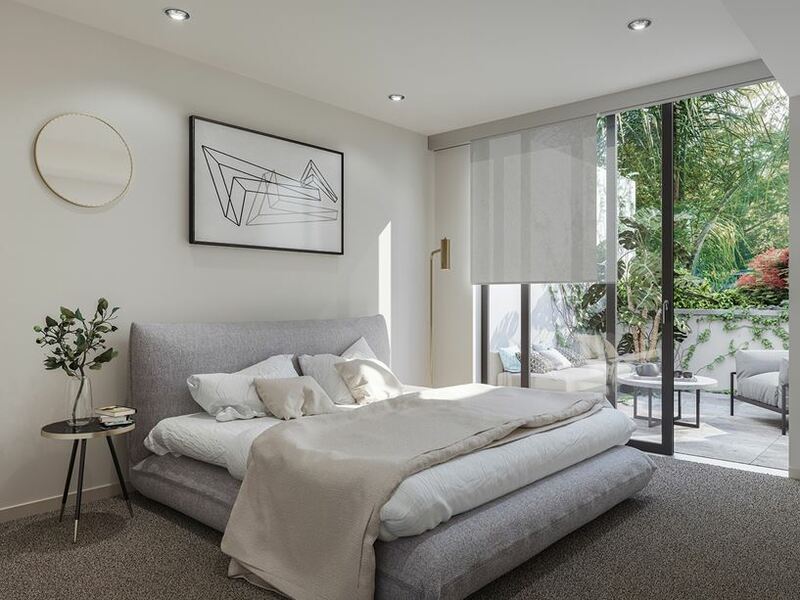 Arcadia is a new apartment development located in Indooroopilly, just minutes away from the Indooroopilly Shopping Centre. 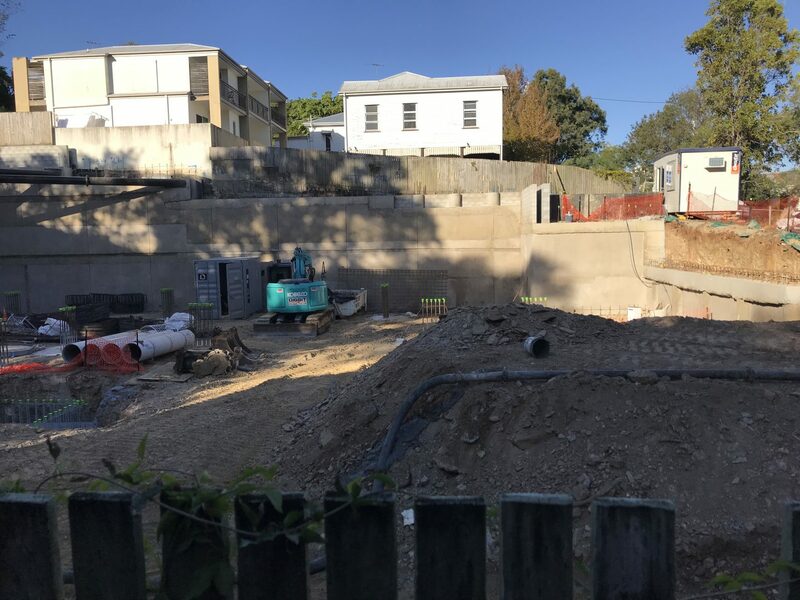 The five-storey project is just a week week away from completion, which makes it ideal for those who are looking to move into their new home as soon as possible. 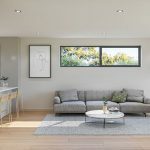 There are only a few apartments remaining, however all of the two and three-bedroom apartments in the development are designed for young professionals, small families, and downsizers. 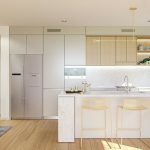 This is evident through design features like extra storage, large, open kitchens, and larger balconies. 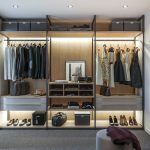 Of course, given that each apartment has its own design and interior designers, they are all slightly different, however, some features are consistent throughout. All residences have timer flooring in the main areas, along with full-length retractable doors leading to the balconies, which increases air flow and allows easy movement between the indoor and outdoor areas. 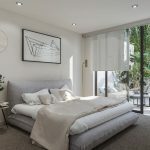 All of the bedrooms have wool-blend carpets and slightly larger than normal wardrobes and some have their own balconies, again increasing the amount of light and breezes that reaches every part of the apartments. Residents also have access to the rooftop area, which is designed so that they can relax there, watching the city skyline, or have friends and family over for a small dinner with fabulous views. 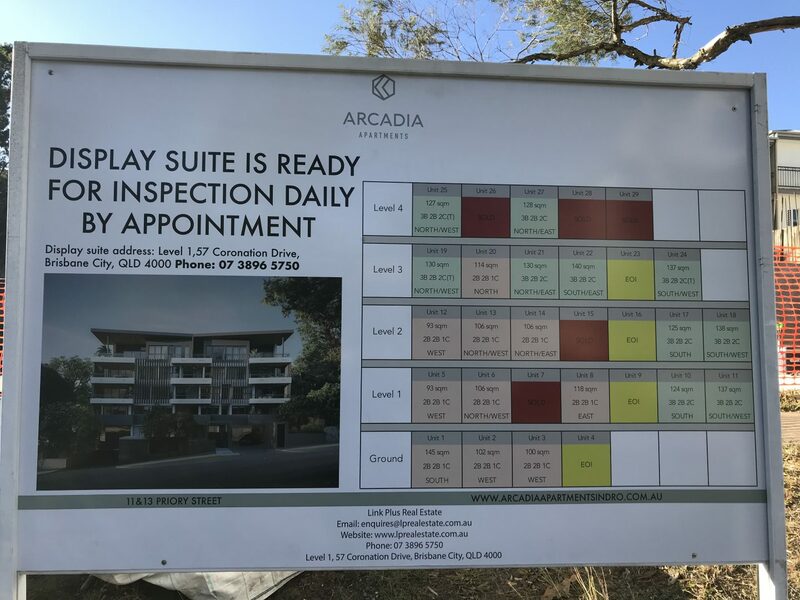 Construction at Arcadia has been completed, with internal work due to be finalised in the upcoming weeks, for an April 2019 completion. 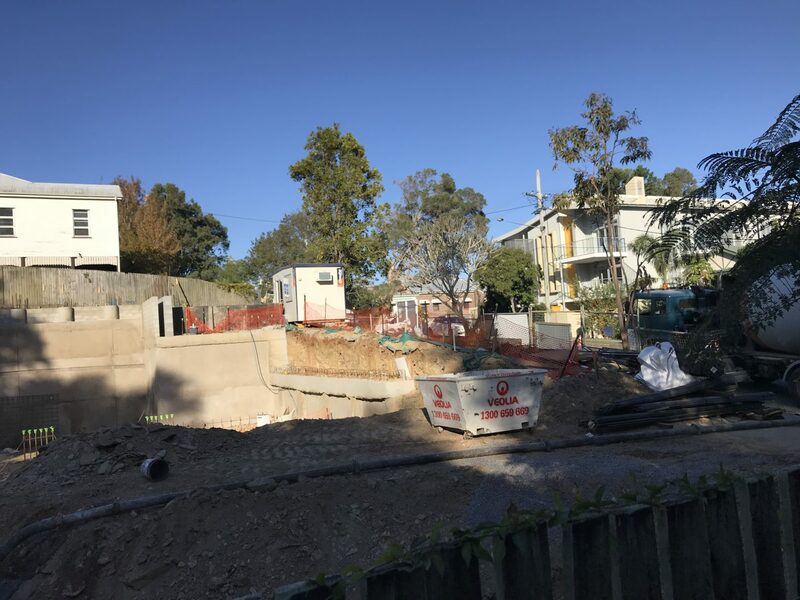 Construction progress at Arcadia (taken by PropertyMash.com in June 2018). 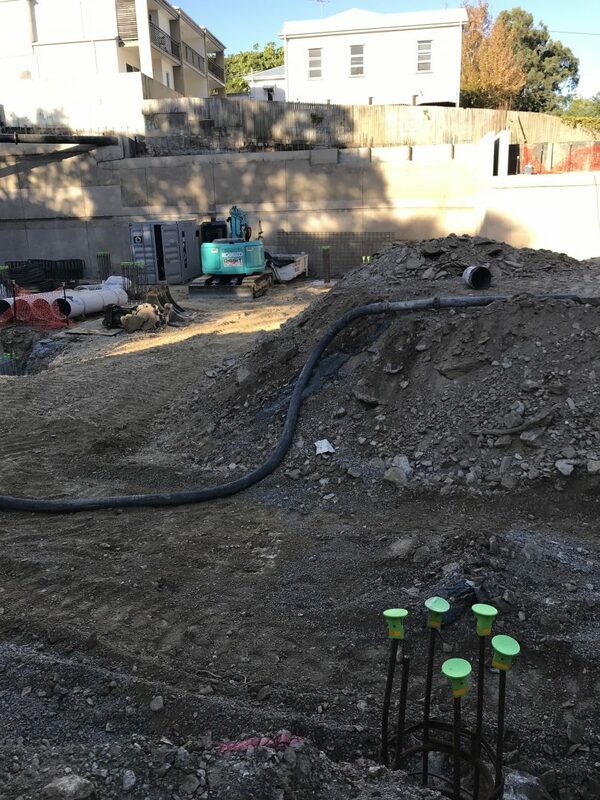 Residents at Arcadia will have access to the rooftop terrace, where there are a number of seating nooks, a BBQ area, an outdoor kitchen, and landscaped gardens. They are designed for residents to use when entertaining friends and family, and have views of the Brisbane CBD. Arcadia is located at 11 Priory Street, Indooroopilly. 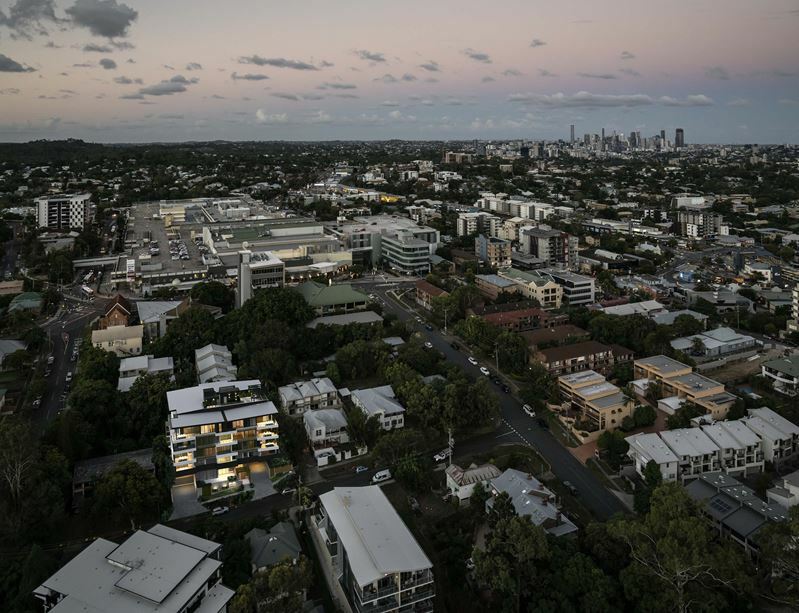 This puts it just around the corner from the Indooroopilly Shopping Centre, which is home to a vast number of shops, restaurants, cafes and entertainment options, including a gym and an Events Cinema. The proximity to the shopping centre is also a major plus for residents in regards to public transport, as there are few places as well connected as the Indooroopilly Shopping Centre — there are a number of bus stops, and Coonan Street and Moggill Road connect residents to the CBD or where ever they need to go. The Indooroopilly train station is a 10-minute walk away, which is another major plus of the location. However, Arcadia is also far enough from all these major transport options for noise not to be too much of an issue. Residents at Arcadia are able to send their children to a number of schools, with everything from kindergardens to universities within 15-minutes drive (although most are less than that). Indooroopilly State School is a co-educational Prep to Year 6, and is well known and loved by students and their families. Indooroopilly State High School (better known as ‘Indro’ by residents), is well known for its academic programmes, offering the International Baccalaureate program. St Peter’s Lutheran College has both day and boarding school, and caters for children from Prep to Year 12, with boarders from Year 6 onward. Of course, if you (or your children) are studying at the University of Queensland, getting to uni is incredibly easy from Arcadia because it’s just a few minutes away. Enquire below for individual floor plans of remaining apartments at Arcadia. All of the finishes at Arcadia are high quality, and meant to be stylish and long-lasting. 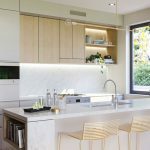 All of the apartments have stone-top island benches and timber veneer cabinetry in the kitchens, which adds a nice touch to the area, along with the European appliances. 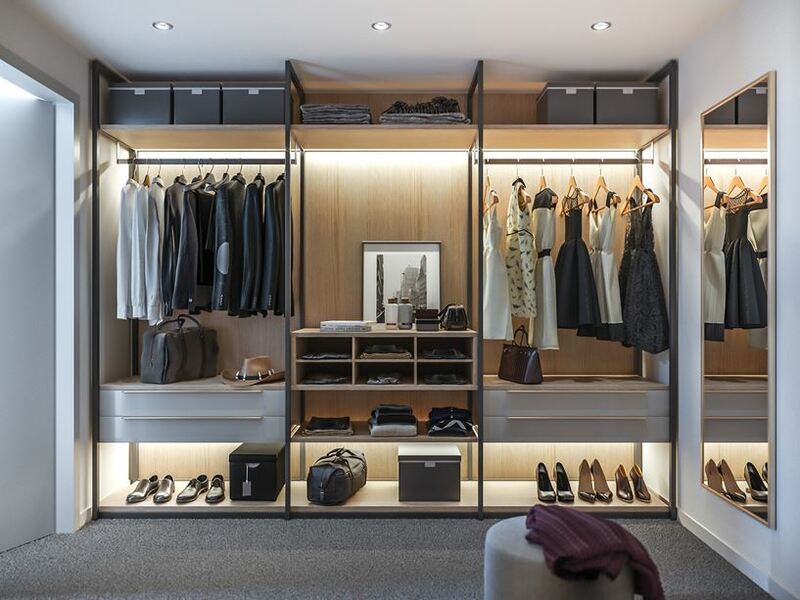 There are wool-blend carpets in each bedroom, and the master bedrooms have either custom built-in or walk-in wardrobes, which is another feature which you don’t often see in apartments. At the time of writing it is unknown what the body corporate fees will be. Please check back with us soon. Arcadia is being developed by Maple Development Group, the Australian arm of Chinese developer Peng Bo Group. 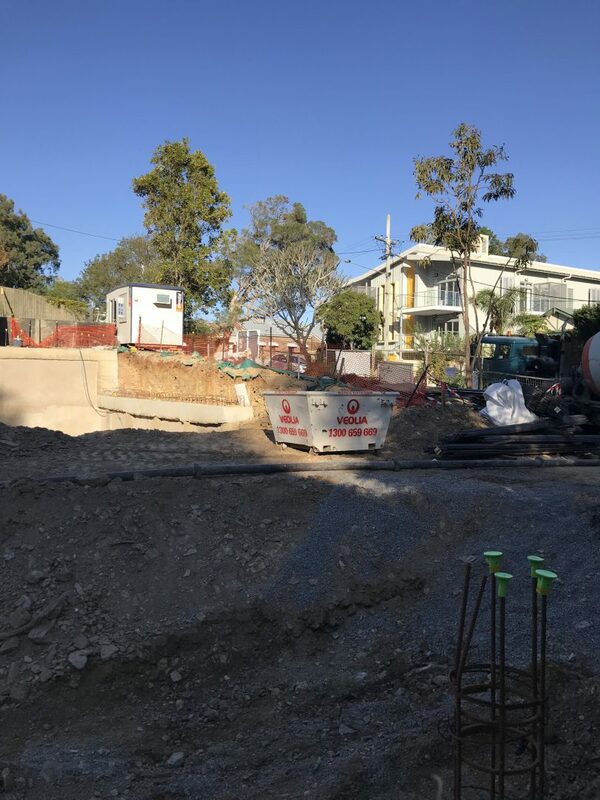 Maple Development Group brings with it all of the international expertise of its main branch, and their goal is to create residential projects in South-east Queensland that shift the benchmark for apartment living above expectations. Arcadia is their first entry into the Brisbane market.